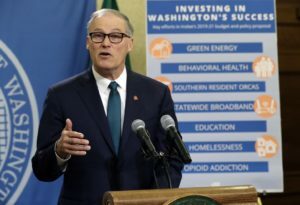 In this episode, League of Education Voters Communications Director Arik Korman asks Governor Jay Inslee what he sees as the biggest challenges and opportunities in education from pre-K through higher ed and how he addresses them in his 2019-2021 budget proposal, what he hopes to achieve with special education funding changes, why focusing on student well-being is important, and why he chose to dedicate funding toward student supports in higher education. 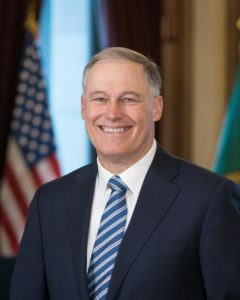 Governor Jay Inslee released his 2019-21 budget proposal today. The Governor’s proposal is a start to the budget conversation that will get underway in earnest on January 14, 2019 when the new legislature convenes to begin hearing legislative proposals for their 105 days of the scheduled regular legislative session that extends through mid-April. The proposed budget includes around $1billion in funding increases across the education continuum from pre-school through higher education. The governor recommends $173 million more for early learning, including serving 2,385 more students through the Early Childhood Education and Assistance Program (ECEAP). On March 27th, the Washington state House Democrats released their operating budget proposal for the 2017-19 biennium, SHB1067. Generally it was received favorably by the higher education community as supporting our priorities, and as a necessary improvement upon the Senate’s postsecondary funding approach. Additionally, many representing postsecondary in the education advocacy space emphasize the need to support the entire education continuum, from the formative preschool years to post-high school additional credential or degree. The House budget demonstrated an understanding of moving beyond the McCleary mandate to provide genuine learning opportunities for Washington’s youth. The House budget expands higher ed pathway opportunities, with a focus on preparing Washington students for today’s labor market. Affordability and pathways are key components, although there is still room for enhancements. 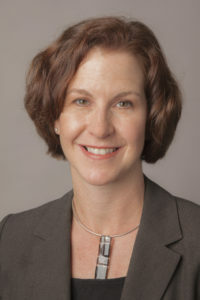 The approach to addressing the cost barrier for students pursuing postsecondary study is a combination of a tuition freeze (with backfill for the public institutions of higher education so that the loss of funds is not detrimental), with need-based financial aid in the form of bolstering the State Need Grant. Investing in the State Need Grant to give more low-income students access to postsecondary education is a critical component to increasing access for Washington students. Unlike the Senate budget, the House proposal opens the door for 6,000 more of our students to receive a State Need Grant. The goal should be for all 24,000 deserving but unserved students to not have to struggle to find a way to afford college, but this step moves us closer to the goal post. The budget also displayed an understanding that obstacles exist beyond financial need. Many students need assistance in the transition to, and persistence within, their postsecondary experience. Low-income, first generation students often need extra navigational assistance in this foreign environment. 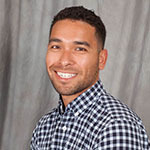 Many students from diverse and economically-challenged populations attend community and technical colleges, and benefit greatly from student advising and supports. Therefore, it is gratifying to see the proposed increase for community and technical colleges (CTCs) to use Guided Pathways, or a similar model designed to improve student success, to better serve students in this system. Breaking down barriers to postsecondary opportunities is for naught if the basic needs of a low-income individual prevents him from pursuing further education. The Senate budget proposal diverts Temporary Assistance for Needy Families (TANF) Work First dollars to support the State Need Grant program, which is counterproductive. The House budget writers are wise to include increased funding to address homelessness and augment the TANF, State Family Assistance, and Refugee Cash Assistance Program grant amounts. These programs help stabilize the families of the very students we seek to provide a greater opportunity for focused learning. Budgets reflect priorities, and although there is more work to be done, we applaud the House for targeting many of the essential priorities that will help move our state forward, advance our economy and close opportunity gaps. In this spirit, let us all support greater investment in our education system from early learning through higher education so that increased attainment will reap greater prosperity for all Washingtonians. House Democrats and the Senate Majority Coalition Caucus (MCC) have released bills to address the McCleary education funding lawsuit. The House plan, HB 1843, would set a minimum salary of $45,500 for new teachers, and would slow the decrease of maximum local school tax levies from 28 percent of total state and federal funding, to 24 percent by 2021, instead of by next year as under current law. The basis for the calculations is changed, as well; and HB 1843 seeks to lower teacher-student ratios. The Senate plan, SB 5607, sets a similar minimum starting teacher salary of $45,000, and the state would collect local property tax levies for schools, adding $1.4 billion per biennium to supplement education funding. Local districts could still raise additional money with voter approval, but the amount would be capped and could only pay for extras, not basic education. 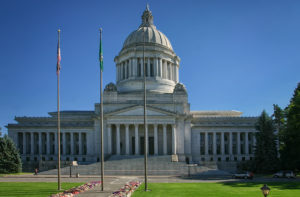 See our side-by-side comparing fiscal elements of the House Democratic plan and the Senate MCC plan with the current funding system and Governor Inslee’s budget plan here. FRL (free and reduced lunch): a term used to describe students who qualify for participation in the federal school nutrition program that provides free or reduced price school lunches for students from low-income households. Full-day kindergarten: state funded kindergarten that requires a total of 1000 instructional hours and 180 days of instruction. Levy cliff: a reduction, in current law, in the amount of money school districts can collect through local property tax levies that takes effect in January 2018. McCleary: The Washington State Supreme Court case which ruled that the State of Washington is violating the constitutional rights of students by failing to amply fund basic education. The Court ordered the Legislature to make “steady, real, and measurable” progress each year to fully fund K-12 public education by 2018. TBIP (transitional bilingual instructional program): a state supported program that funds districts to provide a two-language system of instruction. Students learn language concepts and knowledge in their primary language at the same time they receive instruction in English. 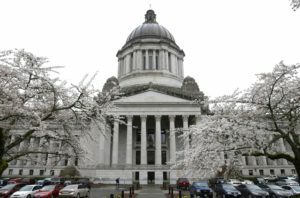 During the 2016 session, the Washington legislature passed Opportunity Gap House Bill 1541, which includes significant changes to student discipline laws. These changes also affect the rules for student discipline (Chapter 392-400 WAC) and student enrollment reporting for state funding (WAC 392-121-108) during the period of suspension and expulsion. 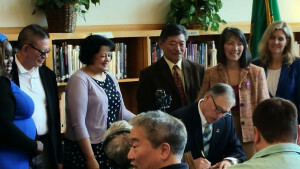 The Washington Office of the Superintendent of Public Instruction (OSPI) will align the rules with this new law before the upcoming school year. OSPI will provide further clarification through additional rulemaking during the 2016–17 school year. Below is summary of changes effective June 9 that impact the 2016–17 school year. For more information, see OSPI Bulletin No. 024-16. A long-term suspension or expulsion must not exceed the length of an academic term, as defined by the school board, from the time of the disciplinary action. This shortens the maximum length of a suspension or expulsion from the prior limitation of one calendar year. Behavior that adversely impacts the health or safety of other students or educational staff. Except for in response to the above, school districts may no longer use long-term suspension or expulsion. Even for any of the violations above, districts should consider alternative actions before using long-term suspension or expulsion, except for violation of the prohibition against firearms on school premises. Possession of a telecommunication device and violation of dress and grooming codes are removed from the list of discretionary violations that, if performed two or more times within a three-year period, may result in long-term suspension or expulsion. While students may be excluded from classrooms and other instructional or activity areas for the period of suspension or expulsion, districts must provide students with an opportunity to receive educational services during that time. If educational services are provided in an alternative setting, the alternative setting should be comparable, equitable, and appropriate to the regular education services a student would have received without the exclusionary discipline. School districts must convene a reengagement meeting with the student and family when a long-term suspension or expulsion is imposed. 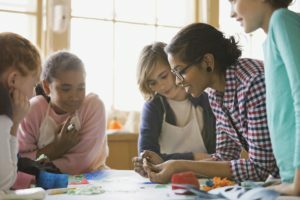 Families must have access to, provide meaningful input on, and have the opportunity to participate in a culturally sensitive and culturally responsive reengagement plan. Periodically review and update discipline rules, policies, and procedures in consultation with staff, students, families, and the community.